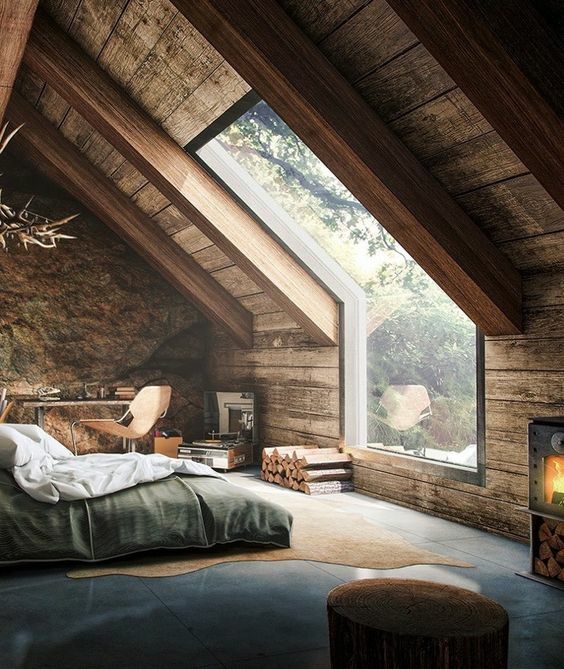 I spend a certain amount of time on Pinterest gazing with my mouth open at some of the gorgeous bedrooms people have. As far as Inspiration Boards go I’ve published quite a few over the years but I think this one might take the cake. I am absolutely in awe of a few of these. Considering how much time we spend in our bedrooms (albeit it is with our eyes closed) I am a firm believer that they are a VERY important part of our homes. 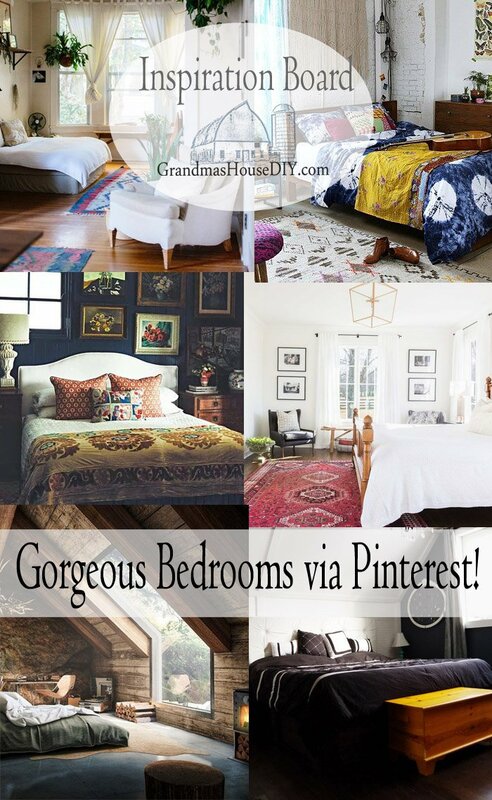 So, without further adieu here’s some gorgeous bedrooms via Pinterest!! You guys all know from my past Inspiration Boards that I am a die hard rug fan. 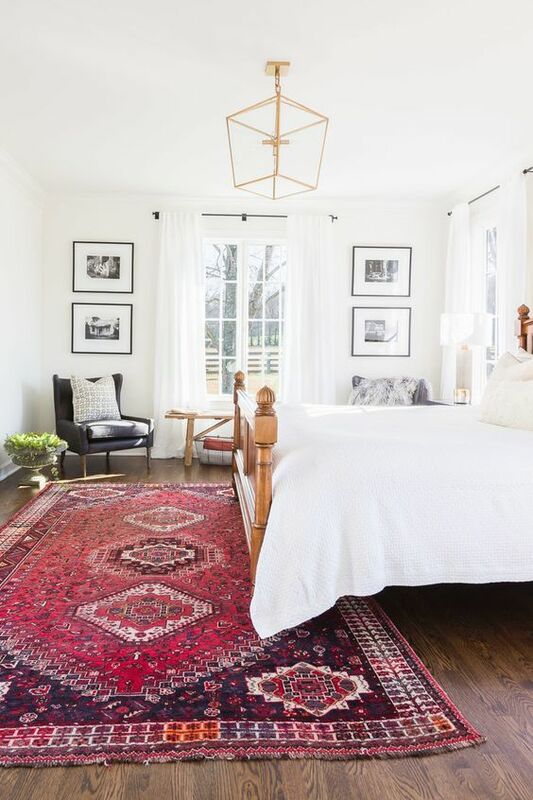 You can take a simple, basic space and add a rug and boom: one of the most gorgeous bedrooms I’ve ever seen! My own bedroom will be coming in at the end of this list and then you will know why I am so smitten with this one. Dark paint colors can create such an incredible atmosphere, this beauty also has all of the molding and wood details to go with it! 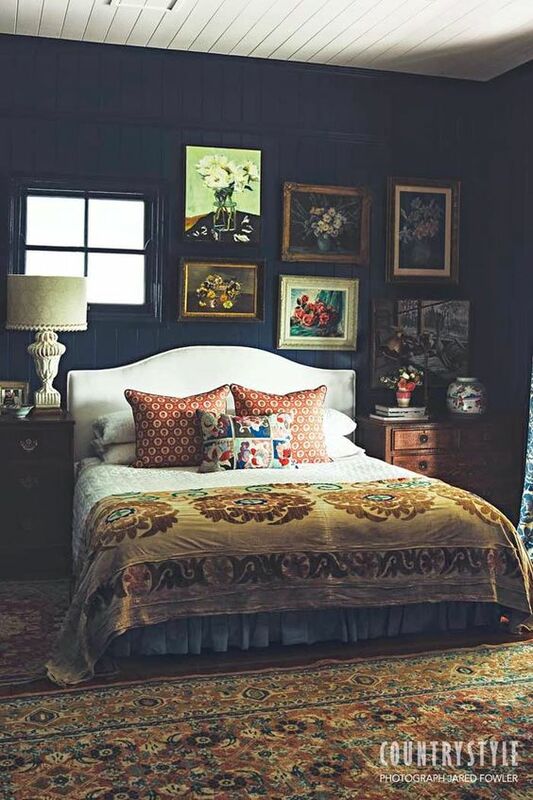 I love that they created a gallery wall above the bed, it draws the eye and is simply stunning. This bedroom to me is a simple jaw dropper, I want it SO bad! I want this to be my getaway, I WANT to vacation here FOREVER. That window alone is enough to create such a unique space but the added addition of all of the rustic elements takes a modern space and makes it incredibly cozy. Out of all of the gorgeous bedrooms here I think this one of my personal favorite! 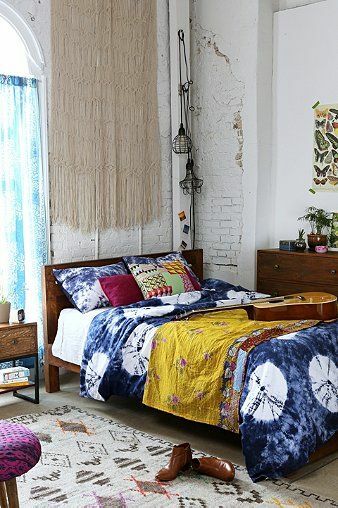 Its no secret that I have a soft spot for bohemian style. I love their casual use of color, of hand-made goodness and that nothing is ever “perfect”. 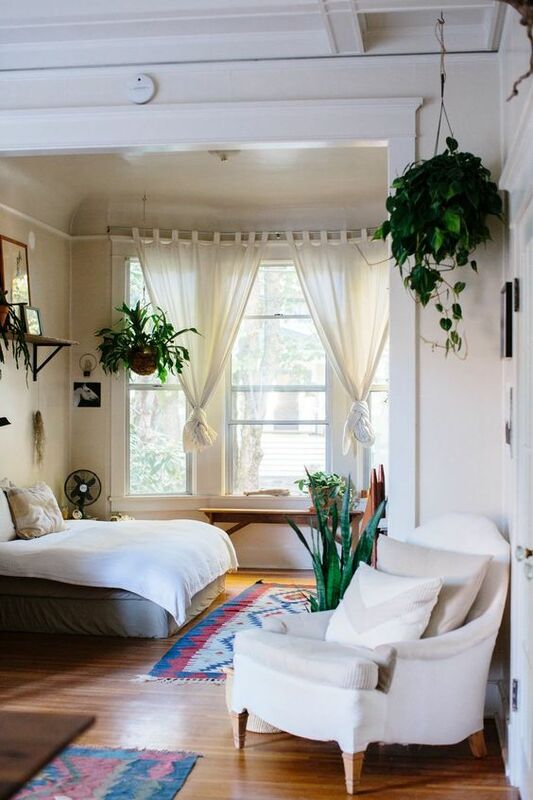 This room is actually a hard space that, with a few sweet additions is warm, comfy and really looks like an incredible place to retire to at the end of the day. What a fun space and there goes those rugs again, I just can’t help myself! I love the addition of rugs for color and the contrast of all those light and airy fabrics and paint colors. There is nothing stark here though because the plants make it feel almost like an indoor/outdoor space and, who wouldn’t love to sleep in a garden? My own little addition, the place Joe and go to at the end of every day. 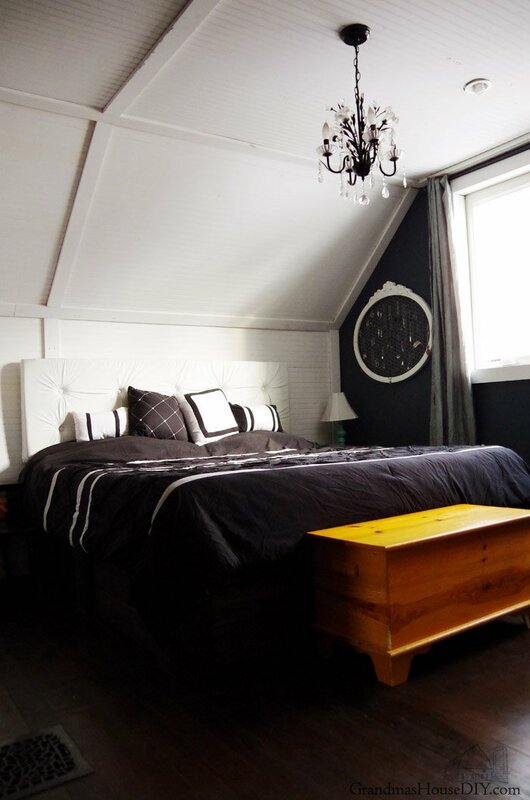 Everything about this space we touched during the renovation and we even built our bed together. It is a calming space that I absolutely love and the space I plan to retire to, every night, for the rest of our lives.